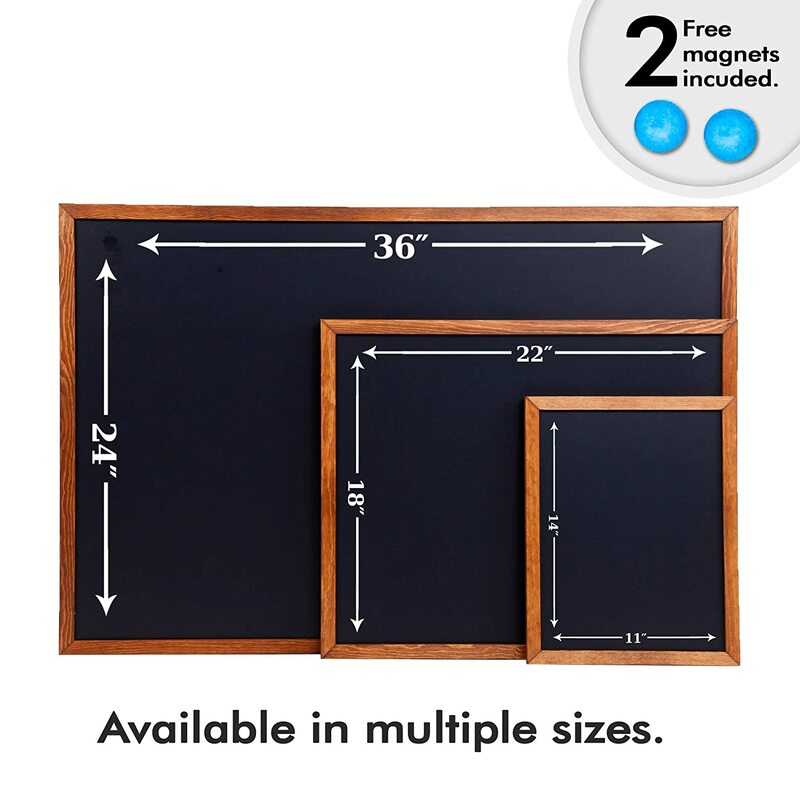 ✔️PERFECT SIZE WOOD FRAMED CHALK BOARD - At 36 x 24 , this large size chalkboard is the perfect size for events, parties, kitchens, classrooms, offices, restaurants, and homes. 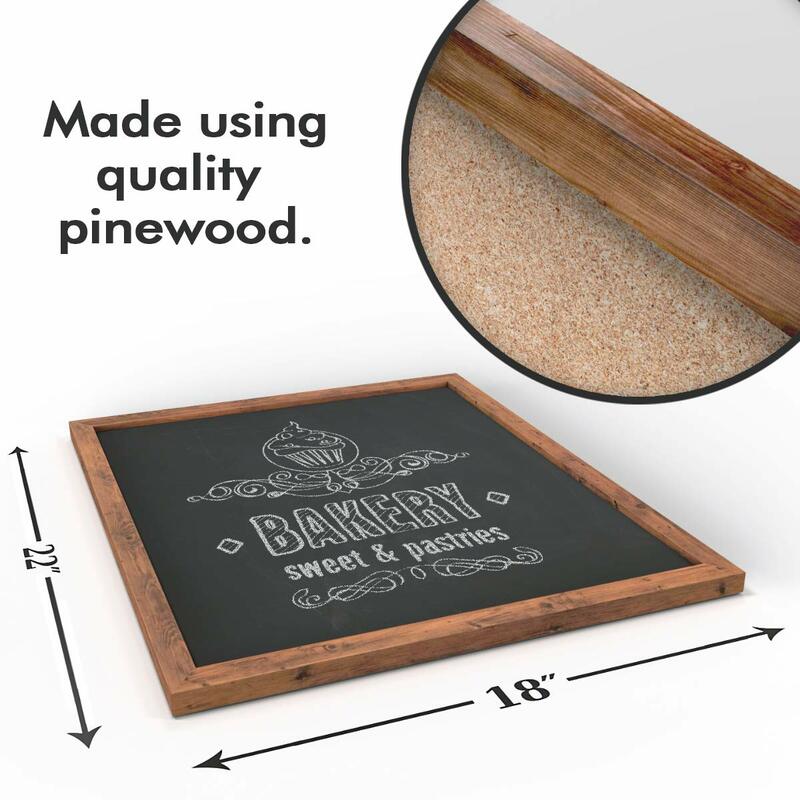 ✔️DURABLE CONSTRUCTION - The frame of the blackboard is constructed of hard pine wood and designed to take a lifetime of abuse, whether its hanging in front of your store or in your home kitchen. ✔️NON STREAKING MAGNETIC SURFACE - With its magnetic surface and 2 included magnets, its more than just a blackboard. Now you can keep track of notes and ideas all in the same place. 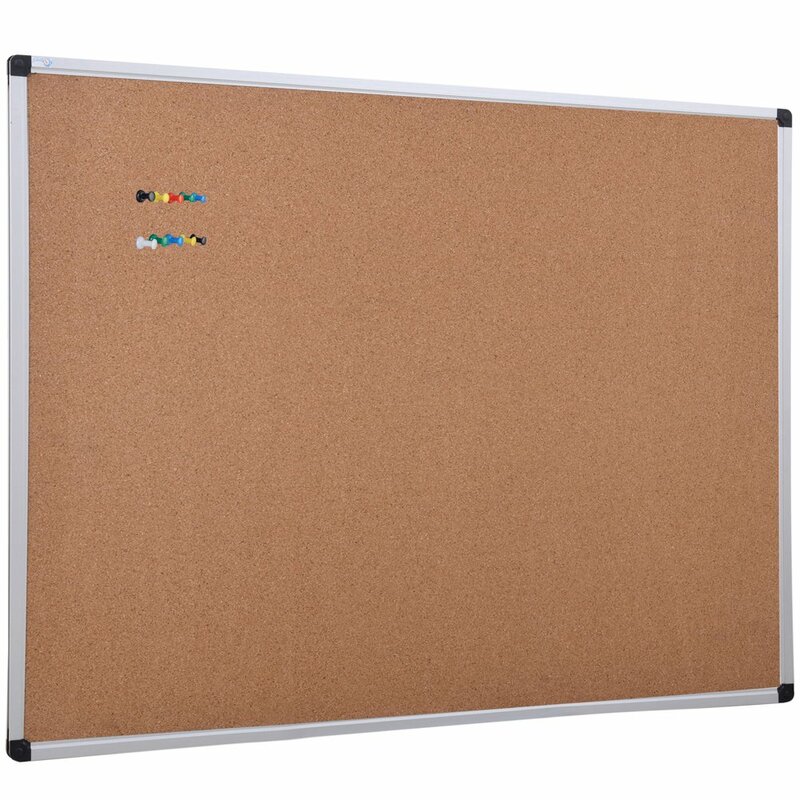 No need to worry about ghosting, smudging, stains as this board will wipe clean all the time. ✔️VERSATILE MOUNTING - Easily mount this chalk board sign vertically or horizontally with the include mounting hardware. 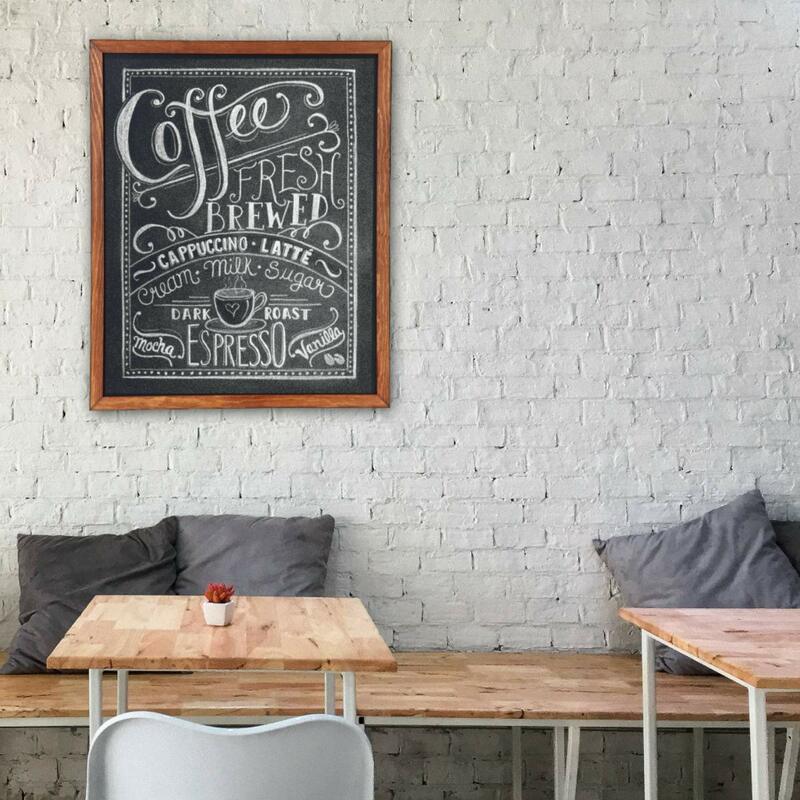 ✔️EASY TO CLEAN SURFACE - The smooth blackboard surface is easy to clean and can be reused over and over again for different events, menus, etc. Our board is specifically made to used with liquid or regular chalk. No need to worry! 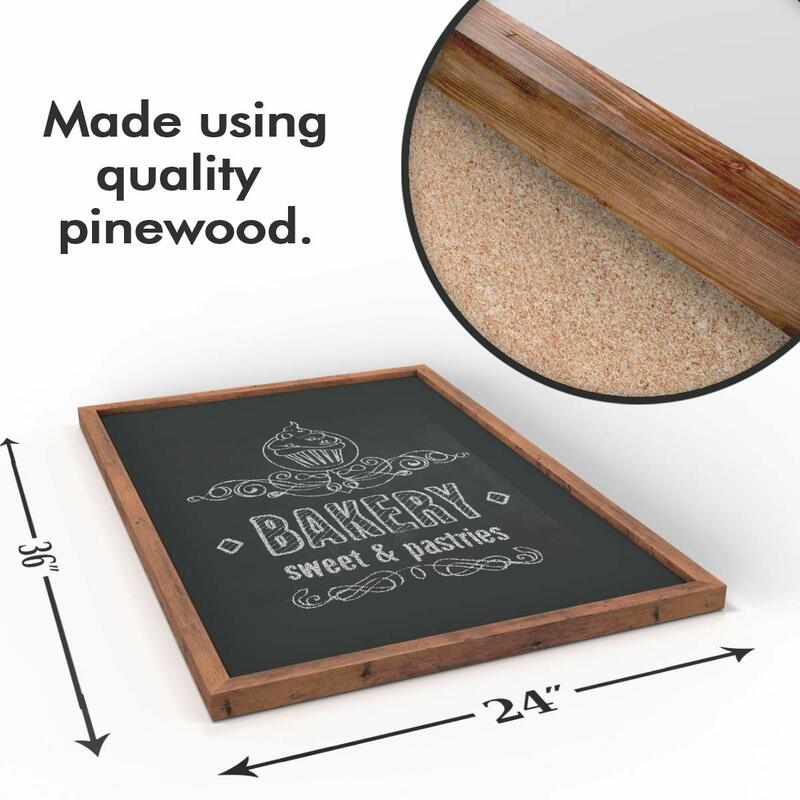 Grab attention and add flare to your storefront, home office, kids’ playroom or sidewalk with this rustic chalkboard. 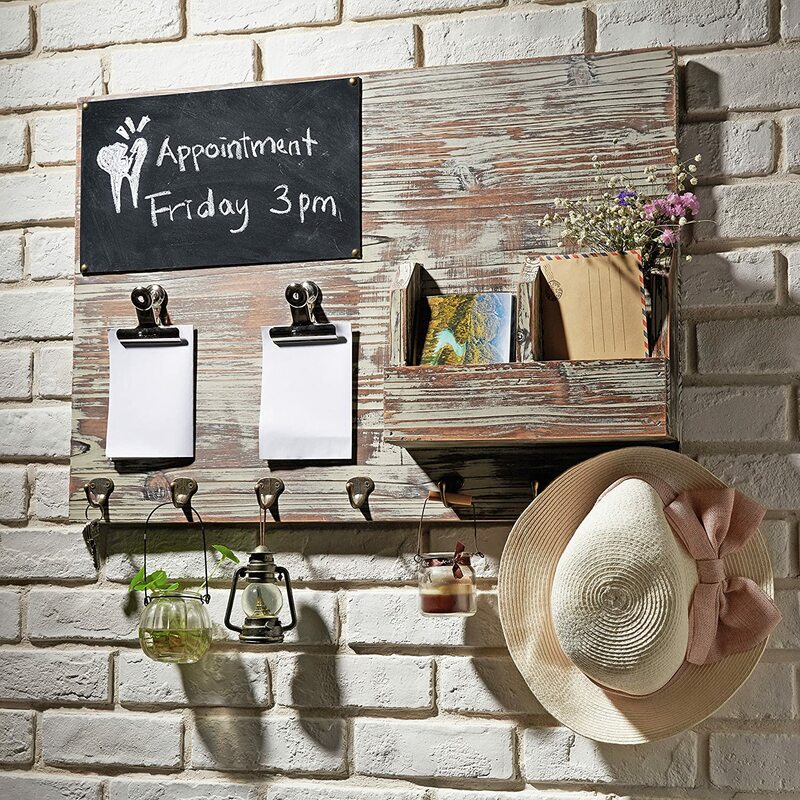 Whether you're planning a menu, keeping track of your office schedule, or looking to add style to your next party announcement, this wall mount chalkboard is sure to suit your needs. 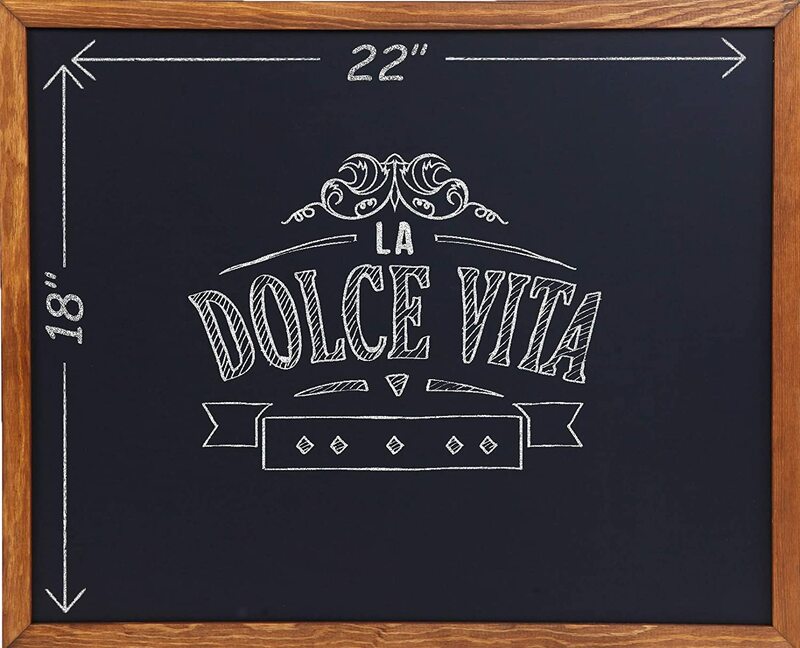 Decorative chalkboards add fun and sophistication to weddings, parties, - even your kitchen. 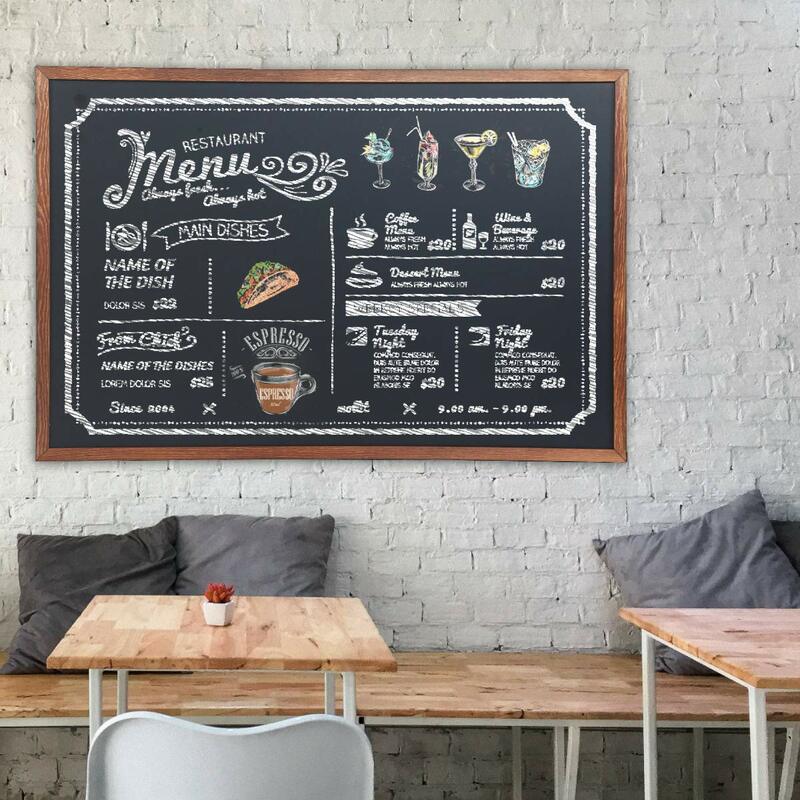 With its nuanced pine frame and striking blackboard surface, this magnetic chalkboard sign is perfect for any affair that requires class as well as a spark of creativity. 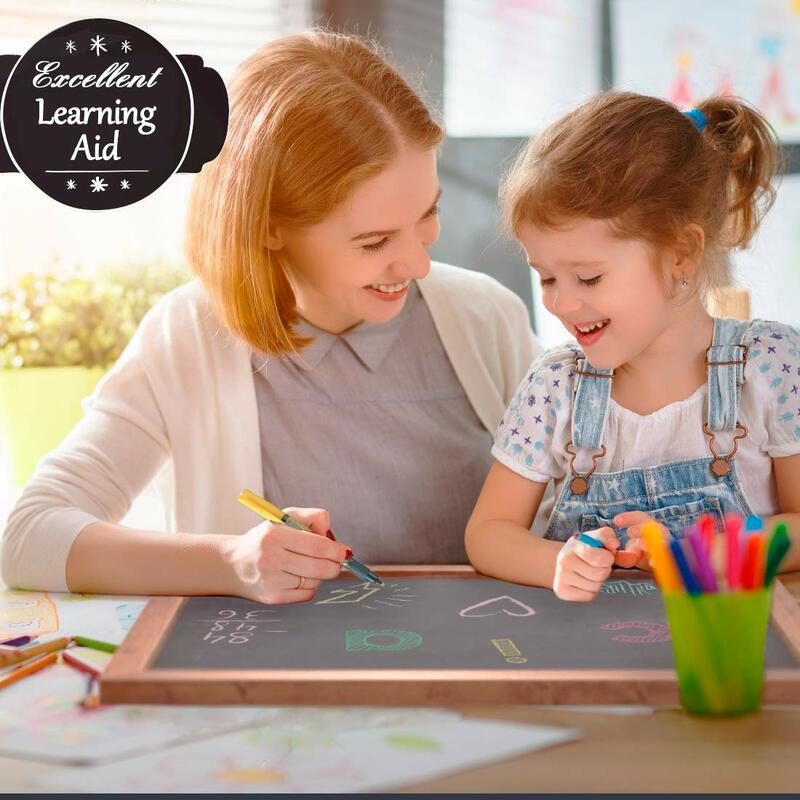 Kids love drawing and writing on the easy to clean,perfectly sized chalkboard. 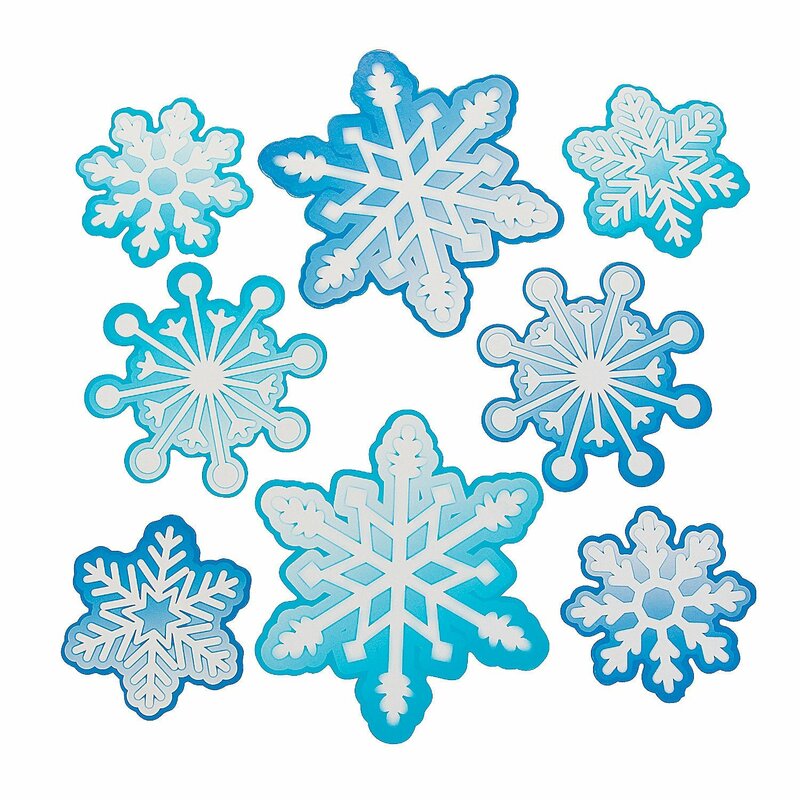 It can be used as a stylish homework reminder, or just for writing down fun messages! 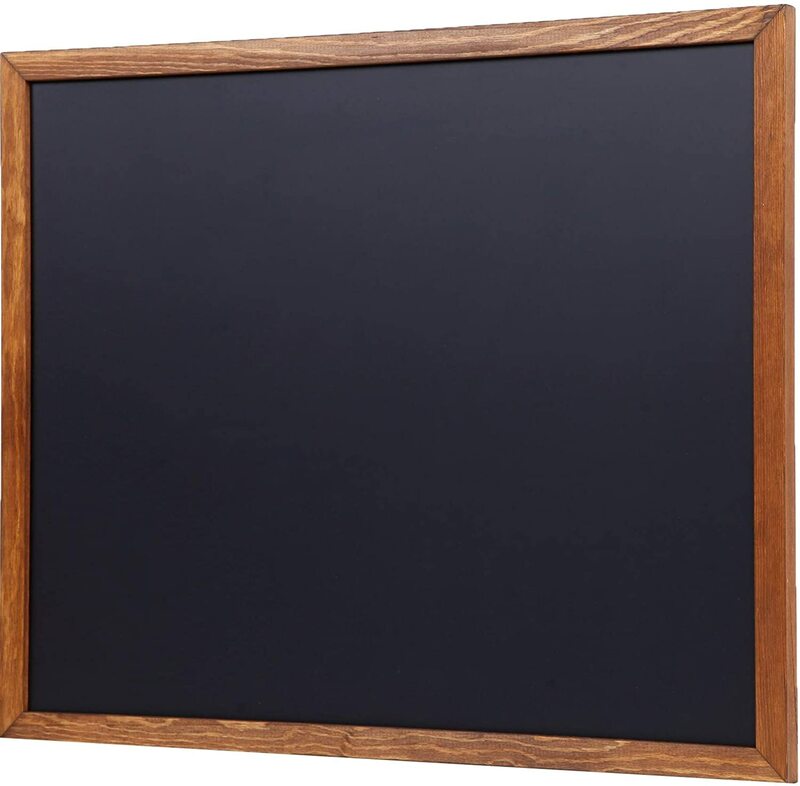 And because the frame is made of sturdy wood, this kids chalkboard can take a beating. 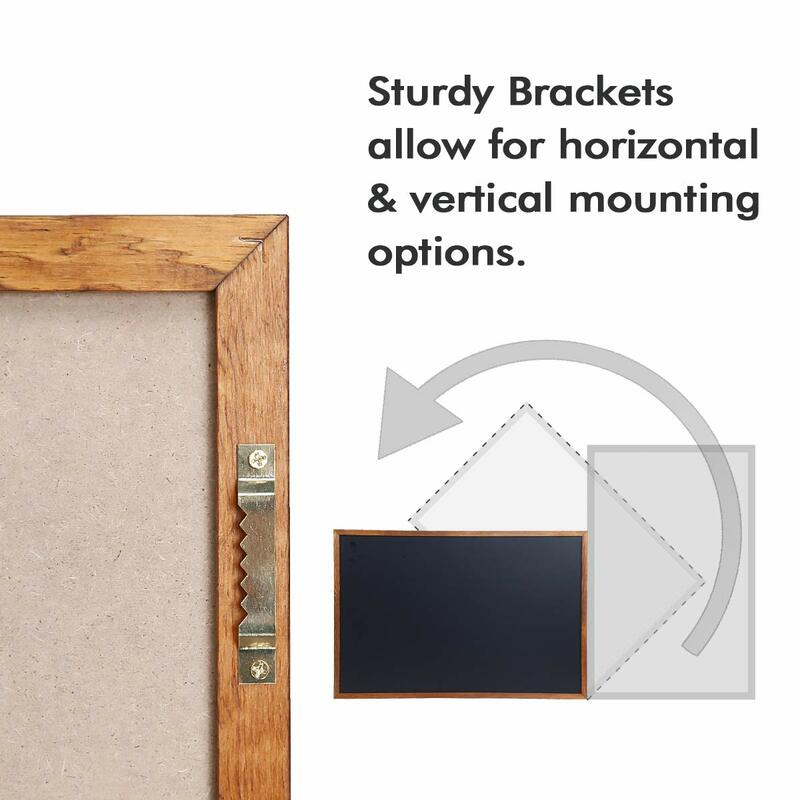 It's simple to mount this wood framed chalkboard vertically or horizontally with the included hardware. 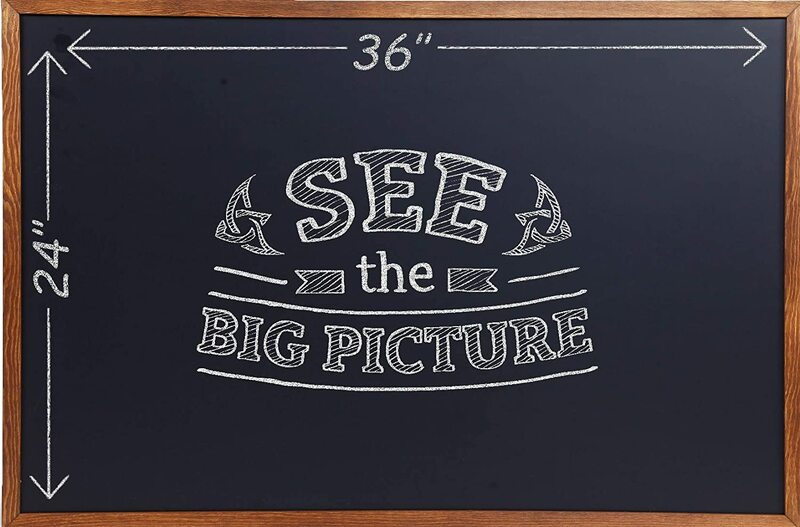 This 36 x 24 wall chalkboard is constructed of the highest quality materials. 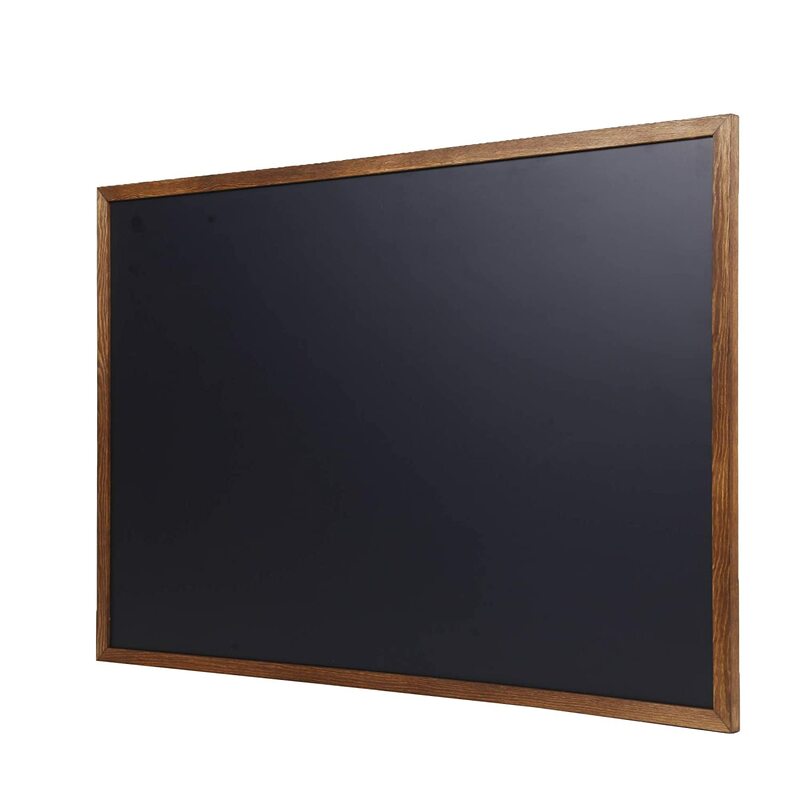 In addition to the solid wood frame and smooth surface, this black chalkboard comes built-in with premium magnets for holding notes, cards,etc. 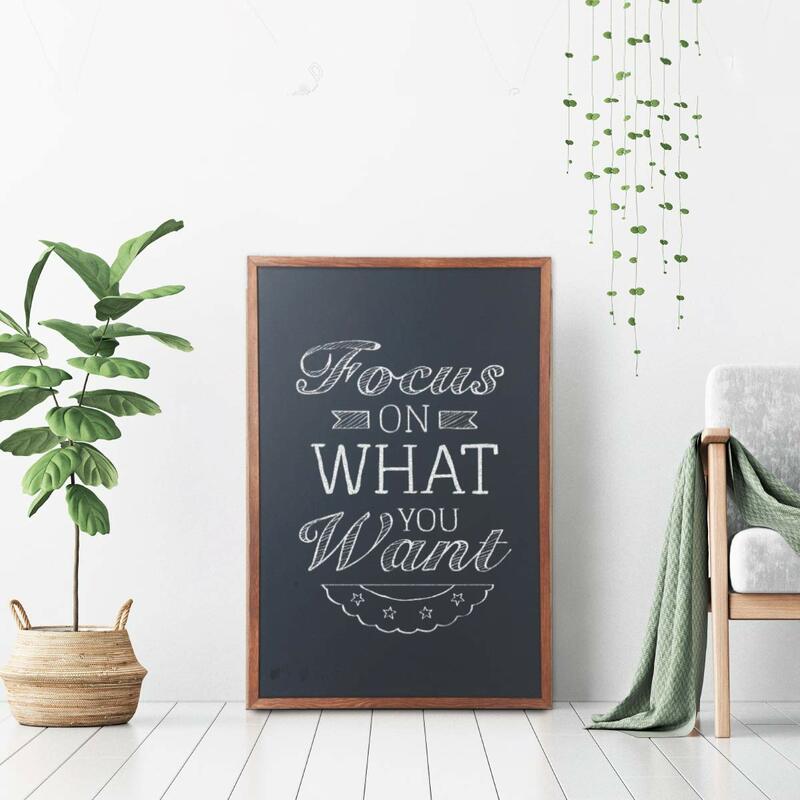 No matter if your jotting down ideas, creating colorful artwork, or looking to attract customers, this mini chalkboard sign will hold up to years of use and look great in the process. 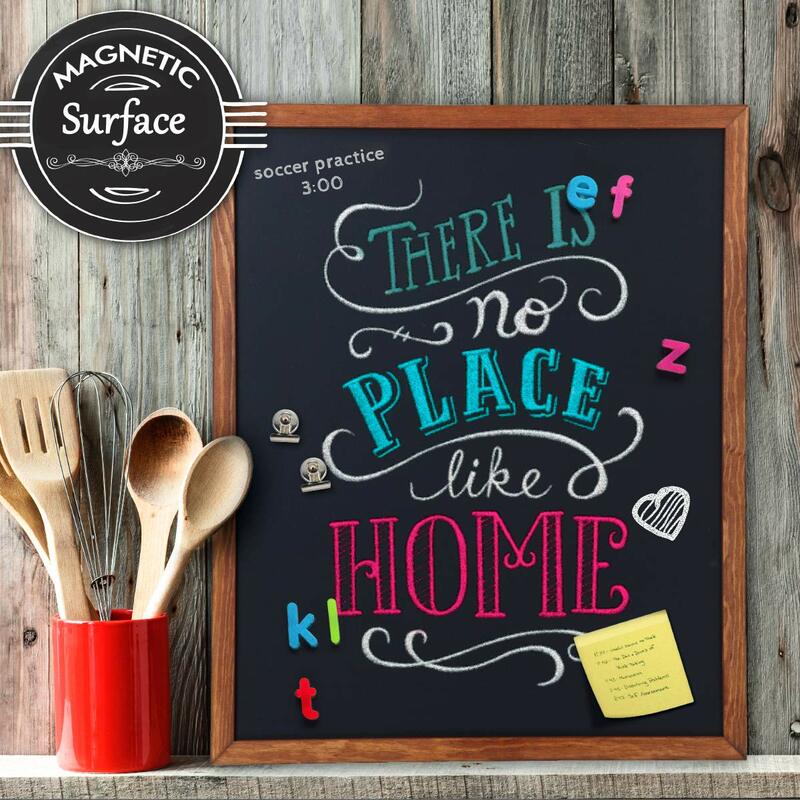 Before using your new magnetic chalkboard, be sure to pre-season the large blackboard by rubbing chalk evenly across the surface. With its strong wooden frame, this menu board can with stand heavy use in the kitchen, office, home or classroom. This chalkboard is beautiful. It is pretty large and a great place for me to write down my families weekly food menu as well as any other things that are going on. Chalk Board is as described. The quality and look are very nice. I am pleased with the purchase. 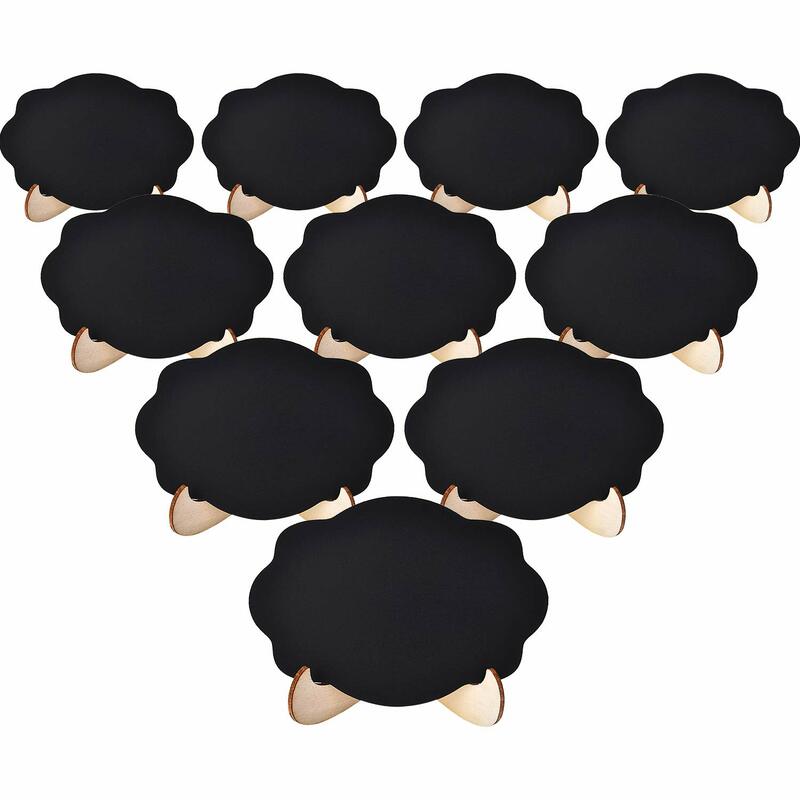 Good quality, and great price! Chalk board was perfect for our space and for hanging our daughter's artwork. However, the board was warped in multiple places. Looks horrible. I would be willing to try another one if the quality could be guaranteed. I like to see things all laid out in front of me. I got this board to use as our Family Calendar so we can become more organized on where everyone needs to be. I've used dry-erase boards in the past, but I don't stay on top of them. Dry-erase boards are flawed. They don't leave enough extra space for additional items like shopping lists, meal planners, or additional notes. Also, you have to erase the whole month to draw up the next month, which doesn't give much foresight and is annoying and their just not aesthetically pleasing. This board is beautiful! 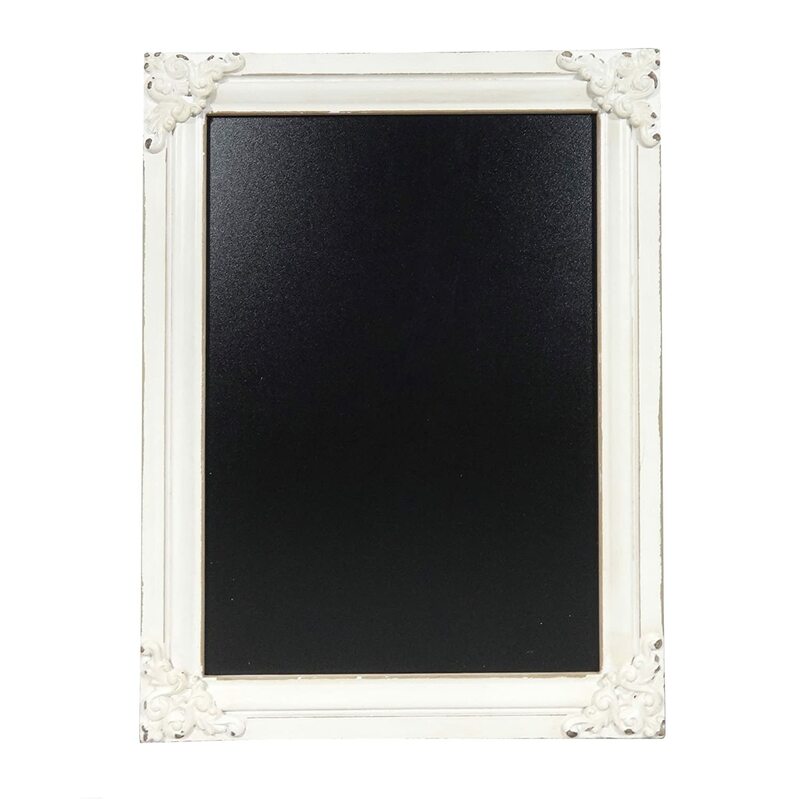 I love the dark brown wood frame with the black chalkboard. Besides it looking beautiful, I also love that it is magnetic. I found some magnetic weekly dry erase planers and placed 8 weeks worth of our family schedule on the board (yes, we really do have to plan things that far out). Even with the 8 weeks worth of planner magnets on my board, I still have a large area left and was able to add a weekly meal plan section, to do list section, shopping list section and still had room left for a notes section. Like I said, this board is beautiful, but it is also very sturdy and I was able to attach the saw tooth hangers without any issues. 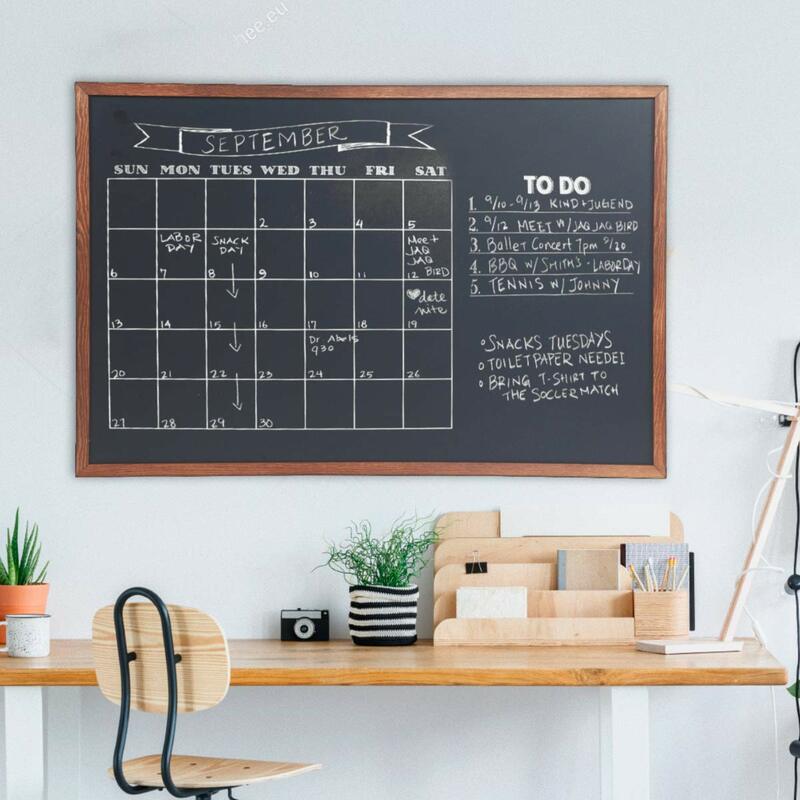 If you're looking for a way to fit your family calendar and then some all into one location, this is the board to get! I am not one to typically review products, but this product was a waste of money. 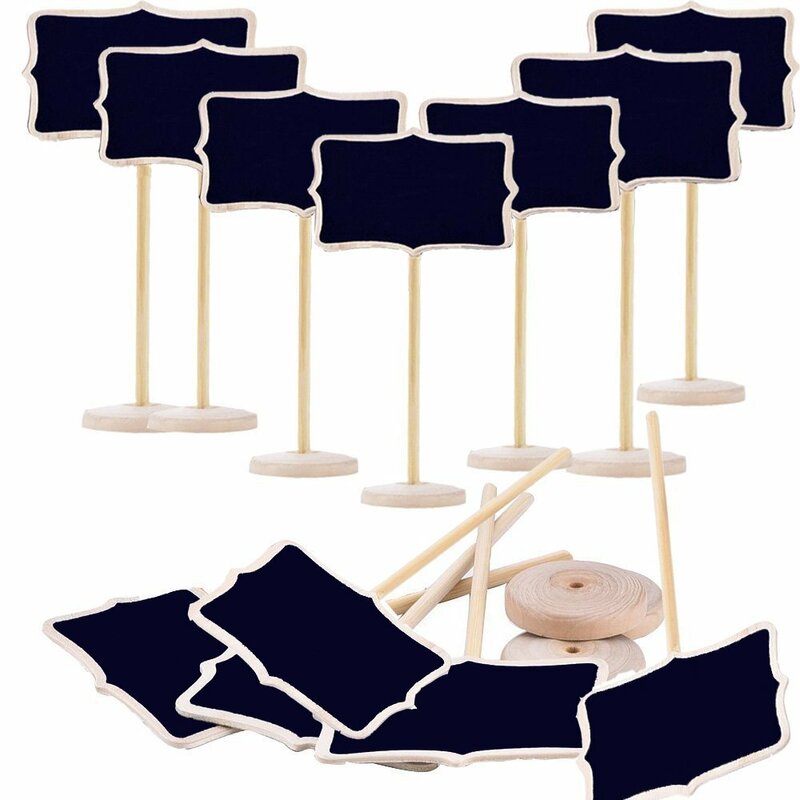 The "chalkboard" came with bubbles all over the vinyl, making it difficult to write, and chunks of the wood frame were missing. I ordered this for an event at work and am too embarrassed to set it out.